Bronk Stone, known as Tetsuo Takeda (武田鉄男, Takeda Tetsuo) is one of Yuma Tsukumo‘s friends and is a Duelist. Bronk is quite a competitive and adamant person who takes pleasure in other people’s embarrassment, even if it is his own friends. He is also a strong-willed person who doesn’t like to show his emotions. Despite this, he seems to have friendly rivalry with Yuma, as he tends to be on Yuma’s side and though doesn’t always believe that he’ll be able to turn around his Duels, he supports Yuma most of the time. 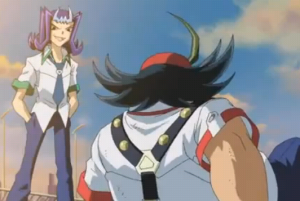 Bronk seems to have an incredibly strong will. 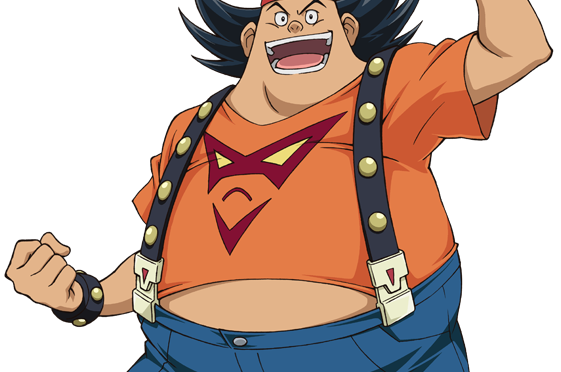 When Yuma was possessed by Number 96, he used Yuma’s “Number 39: Utopia” to save him, and was quickly able to shake off the corrupting effect that strikes most Numbers users via the Emperor’s Key. He also developed a crush on Rio Kastle not long after meeting her, and this has continued to persist, unlike the initial attractions from the other students. He also shows more control of himself around her as the series progressed. 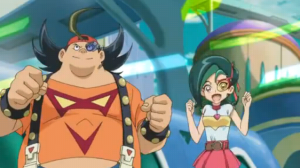 Bronk originally met Yuma after he joined his and Tori’s class when they were younger. 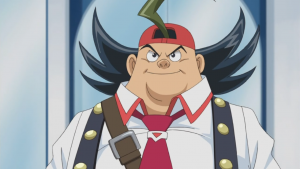 After Yuma claimed that he would be the Dueling champion, Bronk challenged his statement and despite beating him many times, found Yuma never gives up. 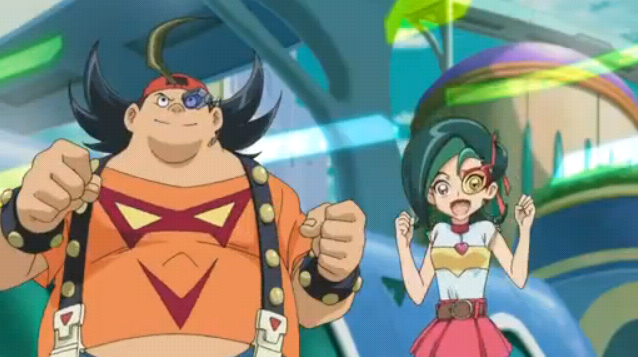 Yuma has a fiery spirit, therefore Bronk befriended him. 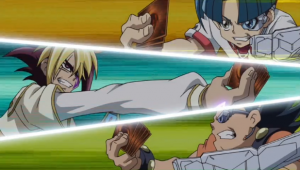 Bronk plays a “Gearspring” Deck, which focuses on the manipulation of Gearspring Counters through the effects of his Spell and Trap Cards to grant his Machine-Type monsters additional ATK. He also uses an array of cards to gain an advantage through containing Machine-Type monsters such as “Iron Call” and “Iron Draw”.